Recently a manager, who I will call Robert, expressed his desire to know if he could do more to let the people in his department know how deeply he appreciated how hard they work and the quality of their work. He wondered if he could do more to let them know this. He also wondered, in general, how he came across as a leader. Could he be doing more to keep morale high? Were there things he was unknowingly doing that diminished his team’s motivation and dampened their spirits? If you wonder about these sorts of things and how you come across as a leader, if you wonder what specifically you do that is helpful and what you do that is not so helpful, this article will help you begin the process of finding out. In future articles, I’ll focus on how to broach harder areas of feedback in a way that makes it more likely you will get honest, actionable feedback. For now, though, let’s talk about how to get started. 1. Ask a feedforward question — “Feedforward” is a term I first heard from Marshal Goldsmith, author of What Got You Here Won’t Get You There and other books. Feedforward refers to input that does not critique past behavior, but instead speaks to new behavior in the future. Because feedforward input doesn’t involve directly critiquing someone’s past behavior, it’s much less likely to trigger shame — and therefore defensiveness and cognitive shutdown in the receiver, in this case, you. It is also MUCH easier for the other person to give, especially if they are being asked by someone with more position power for feedback. 2. Ask for input on a low risk, specific area — For Robert, this would be how to show appreciation in ways that were most meaningful to the people in his department. This would be a great place to start his feedback inquiry because it’s both specific and it is about how to do more of a positive thing, rather than remedy a negative behavior. This makes it much easier for his team to give him feedback. It would also be a more comfortable place for him to start this new feedback-soliciting behavior, because it’s about something that he is doing that is positive. One simple way to alleviate this potential awkwardness is to frame it as coming from a recent seminar you attended or article you read. So for instance, when I am facilitating management development seminars, I suggest participants have a “I went to a management seminar this week” conversation with their team and let them know what they are going to be working on. They can also use this announcement to let their team know that they will be asking them for feedback (or better still, feedforward) in their upcoming individual meetings. Does this make you feel queasy? I have also found over the years that many managers fear asking for feedback because it feels too vulnerable to them, too one-down. They feel they will lose some kind of control or diminish their power by being vulnerable enough to ask for feedback. Think for a moment how YOU would feel if YOUR boss was humble enough and interested enough in how they affected you to ask for feedback. Would you not have tremendous respect for them? Would you not care even more about pleasing them because it’s clear they care about you and their impact on you? What have you done that works? 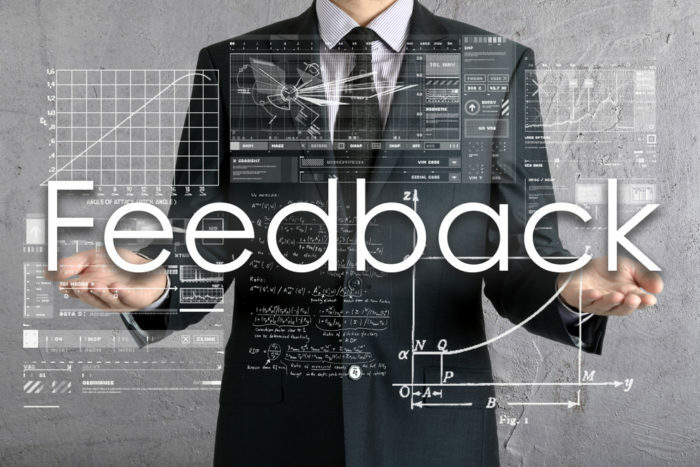 Your fellow leaders would benefit by hearing from you about what you’ve done to solicit feedback that has worked, please post your comments below. Or, if you have questions, please post them in the comments section. Your questions will help shape future articles on how to solicit candid feedback around more difficult issues. And now, how about getting ready for your first feedback conversation?